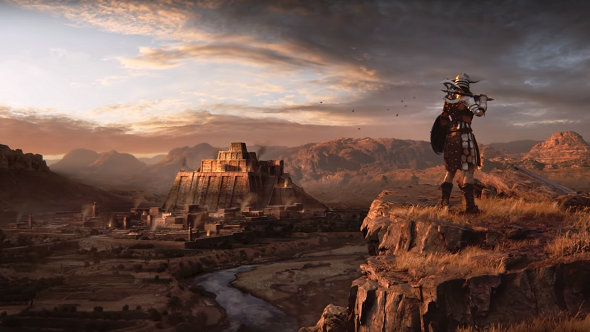 Good news for all you budding barbarians out there – Conan Exiles has smashed sales expectations and new content is on the horizon. The game has now surpassed publisher Funcom’s previous sales record of 1.4 million units, a record set by massively multiplayer RPG, Age of Conan: Hyborian Adventures. Even more impressive is the fact that Exiles managed to outsell its predecessor in less than half the time; Hyborian Adventures launched in 2008 before going free-to-play three years later. Do your survival skills rival Bear Grylls himself? Then check out our best survival games. The impressive sales figures come alongside the reveal of the second expansion for the open world survival game, called Jewel of the West, will launch in early August. The new content will revolve around the fictional land of Aquilonia, which according to Conan lore, is the center of the civilised world. Unique Aquilonia-themed building pieces, weapons, armour and furniture inspired by real-world Roman architecture and clothing will be included in the pack, meaning you can deck out your crib, Julius Caesar style. But everyone knows no home is complete without a furry friend. That’s why the option to tame and keep animals as pets is also coming to Conan Exiles later this year. Given the brutality of the Conan Universe, we can only pray that these good boys are cared for and respected… yeah that’s not gonna happen is it. With all this new content coming to Conan Exiles, it only makes sense that Funcom would look to expand this success worldwide, which they are now doing in partnership with Spike Chunsoft. Unfortunately this Japanese release has not been confirmed for PC, so any of our readers in this corner of the world will have to keep waiting. Conan Exiles launched in early access in 2017, before its full launch in May this year. The first DLC pack, The Imperial East, which is inspired by Japanese history, is available to purchase on Steam now.